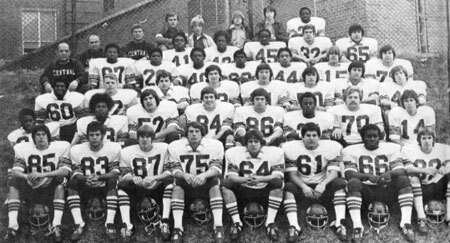 The 1974 Peoria High football team went 9-0-0 and won in the first round playoff game before falling to Normal Community 14-10 in the 2nd round. They were coached by Larry Lavery, assisted by Phil Salzer and Bill Sissel. Albert Purham, Jesse Lopez, Sam Hardimon, Kevin Polk and Dan Ruffin led the way. 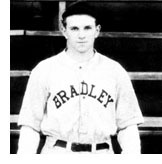 The late Lee Handley was a Bradley baseball standout from St. Louis who played 10 years in the major leagues with Cincinnati, Pittsburgh and Philadelphia. An infielder by trade, Handley played second, third and shortstop in his big league career, a career which began in 1936 after he and many other players were "freed" by the late Commissioner Judge Kenesaw Landis after learning that many major league teams were controlling too many players. He was signed to a $20,000 bonus contract with Pittsburgh at a time when that amount was reserved for the game's premier players. His major league career spanned 968 games in which he batted .269 with 15 home runs and 297 RBIs. His career ended in 1947 with the Phillies. He was also known for his defensive prowess and was considered to be one of the smoothest fielding third basemen in the National League throughout his decade of service. He also was the first in a series of Bradley baseball players to attain national recognition on the Hilltop and was considered by A. J. Robertson to be the finest player in Bradley's distinguished baseball history.